Equipped with Dyson’s innovative Ball™ technology, the BIGBALLANIMAL2+ is simple to move about your home and your furniture – being light to pull and easy to steer. The Radial Root Cyclone™ technology and whole machine filtration mean you can catch even the smallest of particles. Also equipped with a Hepa filter, which traps harmful particles, you can keep your home’s air clean with this Dyson vacuum cleaner. Beautifully designed, the BIGBALLANIMAL2+ even self-rights if it topples or gets knocked. And, with noise reduction that’s 25% more effective than its predecessor, Dyson has created a powerful cleaner that won’t disrupt your peace and quiet. With over three metres of hose on the Big Ball Animal 2+, you’ll have the flexibility you need when cleaning your house. You’ll also appreciate the long cable length of 6.7 metres – so you’ll never feel restricted again. Plus, packing away Dyson’s BIGBALLANIMAL2+ is even quicker thanks to the handy cable rewind feature. Hate cleaning out your vacuum? Then you’ll love the one-click hygienic bin emptying system. 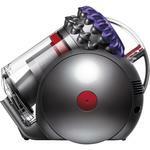 At the push of a button, you can empty your Dyson cleaner hassle-free, with no need to touch it. And, you can even wash the Dyson filters to keep your cleaner spotless. From carpet to tiles, the Pneumatic Cleaner head self-adjusts to seal in suction on every floor type. This means it picks up dirt and microscopic dust from hard floors as well as it does from carpets. Or, use the Reach Under tool to clean in hard-to-reach places, such as under your sofa or armchair. And, remove those stubborn pet hairs from bedding and upholstery with the Tangle-Free Turbine tool. The included articulating wand handle is ideal for a range of tasks, so you’ll never struggle to keep your home spotless again. With a fantastic energy rating of ‘A’, you can vacuum freely while doing your bit for the environment. 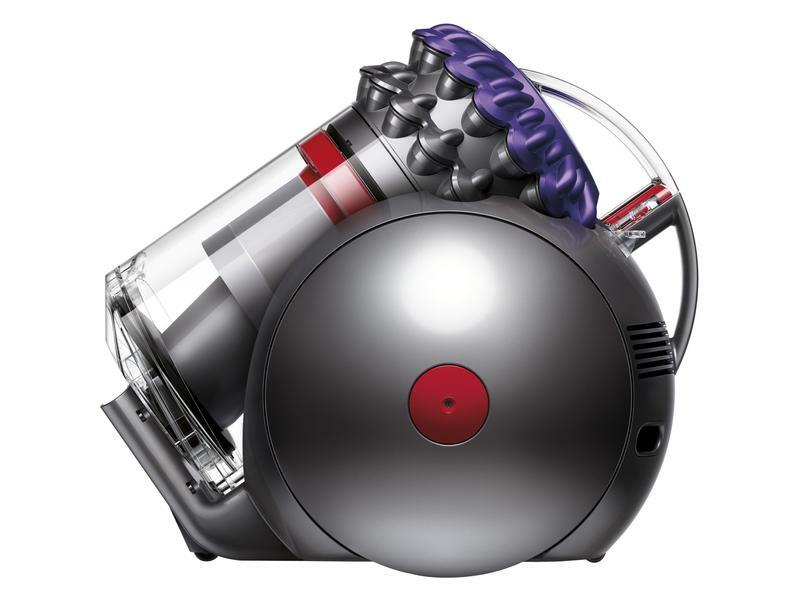 Discover Dyson’s BIGBALLANIMAL2+ today – order yours from Euronics.